This flipbook is intended to teach students appropriate language at school. Do you have students who use foul language, hateful phrases or threatening statements? 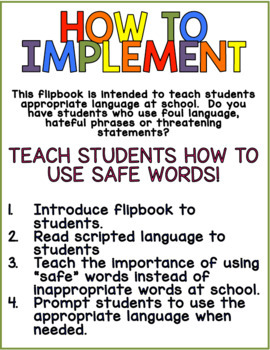 TEACH STUDENTS HOW TO USE SAFE WORDS! 1. Introduce flipbook to students. 3. 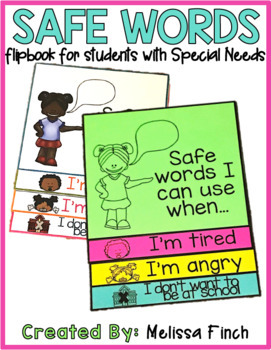 Teach the importance of using “safe” words instead of inappropriate words at school. 4. 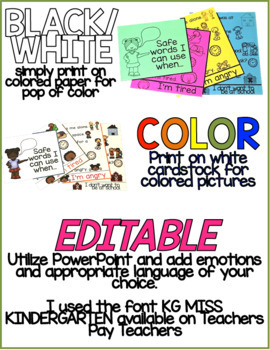 Prompt students to use the appropriate language when needed.